10 or 20 inch System? A Standard Carbon block works well to remove chlorine, however, more and more municipalities are mixing ammonia into the chlorine; this combination is known as Chloramine. The standard carbon block will strip the chlorine and leave the ammonia behind. As you may know, ammonia is toxic to many life forms. 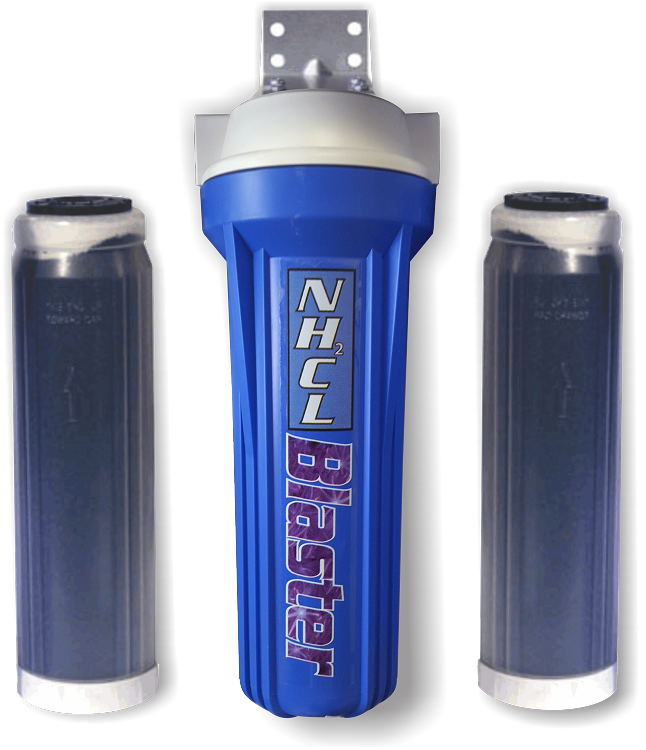 The AquaFX Chloramine Blaster Carbon is a high grade catalytic carbon that can react out the ammonia. Thereby removing the chloramine from your water. Q: I know when you change the filter is dependent on how much chlohttps://www.aquariumwaterfilters.com/admin2/store_modules.aspramine is in your water and how much water you use, but on average how many gallons is one 10" cartridge capable of treating? A: Thank you for your question, it is a little tricky but....1st you do need to run two 10 inch Chloramine Blasters in a row, for system up to 300 GPD to work. It is a reaction that takes place on the carbon, and it requires contact time with the material. I am assuming when you ask me how many gallons is one 10-inch capable of treating you are referring to Chloramines. 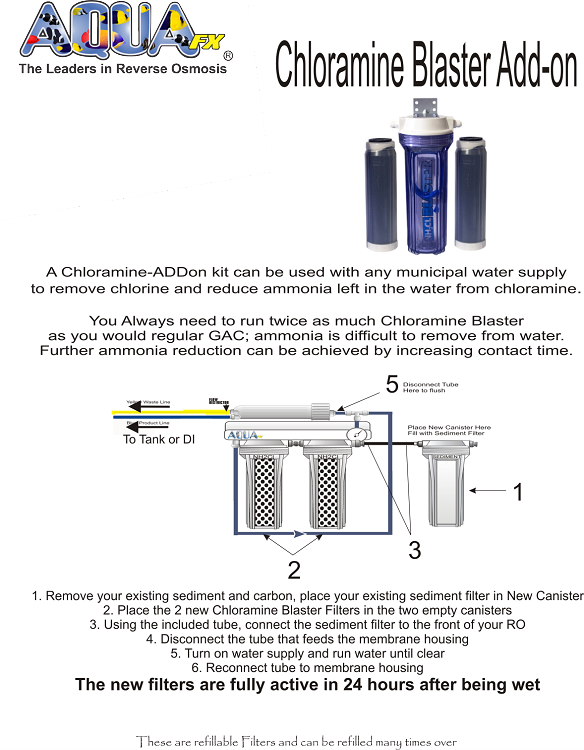 So, the answer is; one 10 inch Chloramine Blaster is not capable of treating chloramines. Although you can remove chlorine.